CCTV Security System in Singapore plays an important function in supporting the integrated deployment of security systems in commercial & residential buildings especially in an era of heightened security. Intelligent CCTV video analytics used in Security Surveillance System today is a new area of application that Surveillance systems designers are Expanding out into. 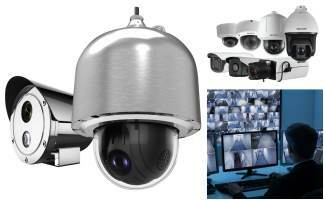 Such pro CCTV systems and surveillance hardware accessories enable a wide range of Smart cam CCTV surveillance system usage in new industries that needs monitoring and counting of object and people moving into a predefined counting zone. At T3 Security Integration, our team of men and women will work with you to offer the best video analytics software products implementation support. We also provide multi channel network NVR recorder & DVR recorders installation tool that can be uploaded onto mobile Wireless Security Cameras in security camera systems to allow the most precise visual counting of incoming objects and people within individual predefined object counting zone region within the IP security camera system‘s vision field of view in an outdoor environment. This video analytics is applicable in most types of surveillance monitoring camera we provide here, such as Dome, Bullet, PTZ (Pan Tilt Zoom), Night vision Cameras. Such human counting video analytics functionality inbuilt into the CCTV Camera System is highly applicable for corporate office premises where there are a high inflow and movement of Foot traffic entering into and exiting out of a predefined zone area. Many times in the retail shop industry, Super-marts and large of retail shop stores will often run events like sales order promotions. With the Solar Powered Camera smart video analysis tracking of the shopping traffic behavior around pre-defined counting zones, business owners are now able to obtain valuable analytics information to objectively search and compare the sales targets and desired outcomes for that sales quarter with the Actual Foot traffic flow around the areas. Here is a brief rundown of some of the main advantages and features of using video analytics in your CCTV monitoring deployment, perhaps using a Solar Powered CCTV for outdoor surveillance. Having a decentralized CCTV with video analytic is highly cost-effective as there is no requirement to incur for ongoing software licensing charges. When you decide to use a decentralized surveillance camera platform, there is no requirement for a separate NVR or NAS VMS servers or cable infrastructure to manage and administer the video analytics used for counting of People or Object. This is because the CCTV camera is able to manage everything & execute the Megapixel video processing by itself inside the camera, thereby helping to save on electrical power expenditure. The Surveillance camera product is able to swiftly automate hourly, daily, weekly or monthly CSV report containing all the important statistical data presented in a very granular format. This CSV report can be configured to be automatically sent out by the camera internal recorder DVRs as an email base on a specific schedule. Using a mobile email account app, the user can easily receive the phone notification while on the go. The heat map report which provides a visual representation using different color codes to show the variance in the frequency of traffic and object movement inside the surveillance cameras field of view. Take the required precautions today to Protect yourself better with T3 Security Integration’s high-quality surveillance cameras. For more product details, let one of our highly professional and experienced consultants customize to your specific security needs and propose the right CCTV security system for you. If you are still interested in learning more about implementing an integrated Surveillance Camera System and to see what it can do for you, call to contact us today a 6100 8374 for a no obligation discussion of your needs.